Scrub me from top to toe for gorgeous glowing skin. 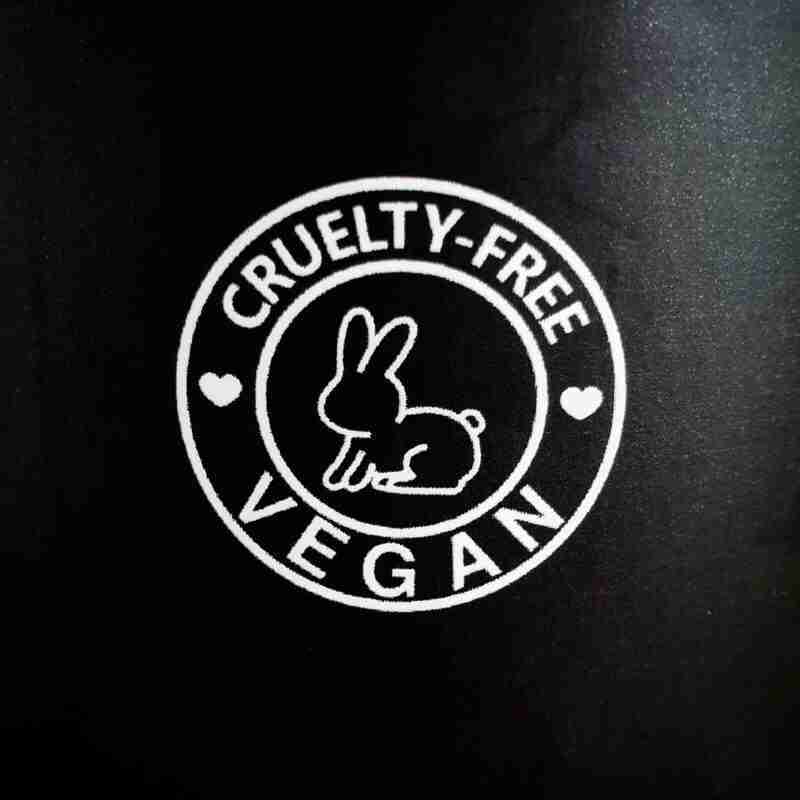 Our fairtrade coffee stimulates the skin cells to help blast away signs of cellulite and stretchmarks. Organic macadamia oils super antioxidant powers hydrate, repair and renew for silky smooth soft skin. Cacao and Blood Orange Coffee Scrub is a blend designed to invigorate, energise and firm the body. The antioxidant rich combination of Cacao, Fair-trade Arabica Coffee and Vitamin E rejuvenates skin while Citrus and Coffee stimulate blood flow for a more radiant appearance. Organic cane sugar scrubs away dead cells and exfoliates leaving the organic Coconut and Macadamia oil to hydrate and plump, minimising the appearance of stretch marks and aging and preventing further free radical damage. The aromatherapuetic blend smells sublime, so leave it on a minute or two and absorb the mood uplifting benefits of blood orange oil. Our fairtrade coffee scrub comes packed in a gorgeous Miron Glass Biophotonic jar to extend its life and to help natural protect is from uv rays and oxidation. The jars are pretty enough to rinse out and re-use after use or you can recycle them. Blood Orange helps detox the skin and improves the mood with its uplifting energising aroma. Cacao is an antioxidant the helps protect skin cells from oxidation. Its mineral rich, containing manganese, iron, copper,zinc and selenium. All super skin heroes. Our coffee is fairtrade which means we are supporting developing communities. It is also full of caffeine! 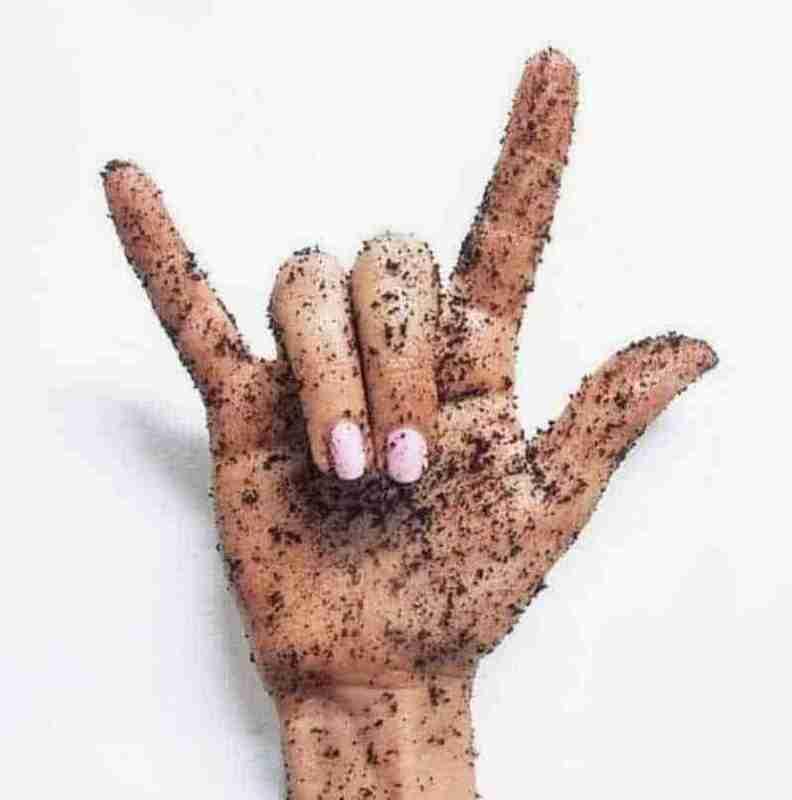 Skin loves caffeine for its stimulating effect. It encourages good blood flow and circulation which can help combat cellulite. All our products are vegan and cruelty free. 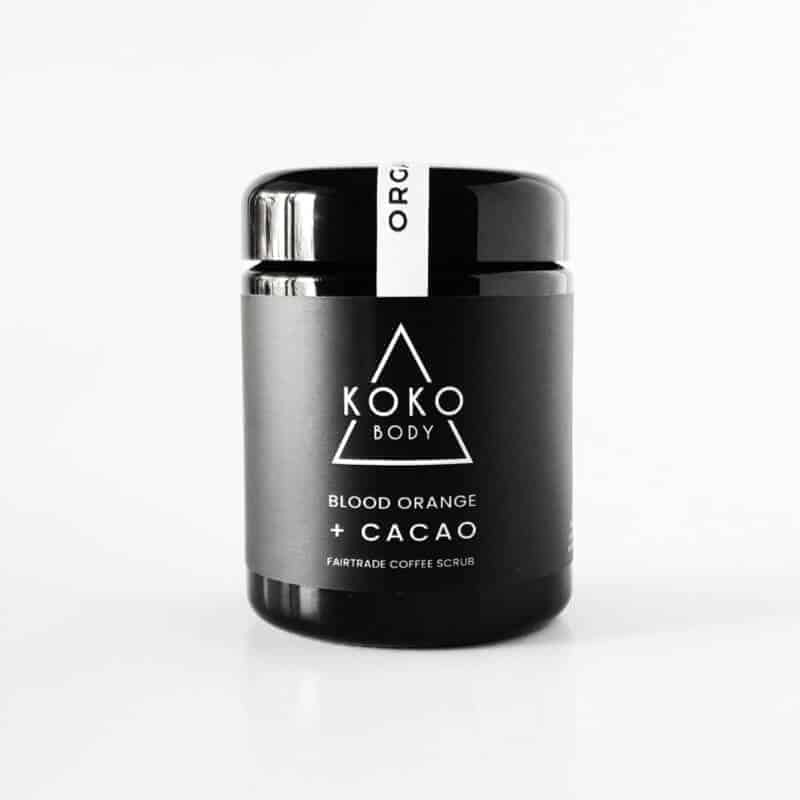 Koko’s Cacao and Blood Orange Coffee Scrub is made using 100 % pure natural and organic ingredients.